Very spacious rooms, Overlooking the white sandy beach. Stunning views of the Ocean, with tastefully furnished patios. Fully equipped kitchen, Flat screen Televisions, Air conditioner in bedroom. Two twin beds, Iron and Ironing Board, Hair Dryer, Telephone, Clock Radio. 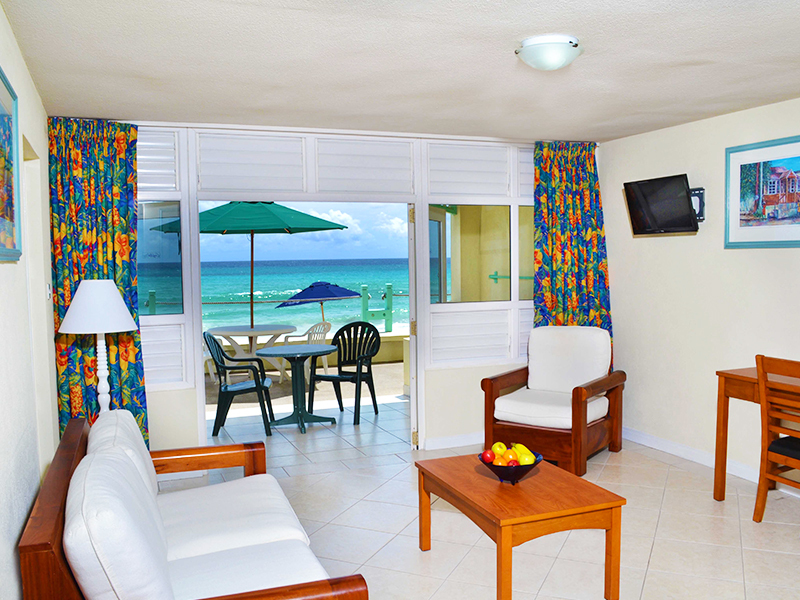 Relax in your separate Living Room and watch Television or lie in your bed and see the waves crashing against the reef.